The center of the eye is filled with a clear, jelly-like substance called vitreous. With age, the vitreous can shrink and pull away from the retina, or the layer of light-sensitive tissue lining the back wall of the eye. In some people, the vitreous tugs at the retina as it pulls away from it. As a result, scar tissue can develop and cause the retina to wrinkle or bulge. This is known as an epiretinal membrane. 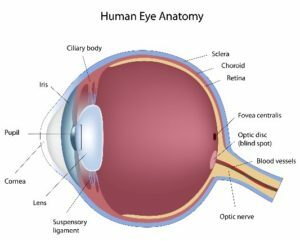 When an epiretinal membrane affects the macula, or the central portion of the retina responsible for clear central vision and fine detail, it is called a macular pucker. Some macular puckers are asymptomatic. Others affect central vision, while peripheral (side) vision remains unaffected. Objects in the central field of vision can look wavy or small details may be difficult to make out. Gray or cloudy areas or blank spots can appear in the central visual field. As an internationally renowned specialist in retinal diseases, Dr. Michael Elman is uniquely qualified to diagnose and treat macular puckers and restore clear central vision. The specific treatment for macular pucker depends on the symptoms and severity of the problem. Some macular puckers do not have a significant effect on vision and are monitored closely. If a macular pucker has a deleterious effect on vision, a surgical procedure called vitrectomy is the best option to correct the problem. The objective of vitrectomy surgery is to remove the eye’s natural vitreous and replace it with a saline solution. During the surgery, scar tissue is carefully removed to smooth out the pucker or wrinkle affecting the macula. This type of repair requires meticulous technique and the experience of a qualified retinal surgeon like Dr. Elman. Vitrectomy is normally performed on an outpatient basis. Patients are given an anesthetic around the eye and put into a “twilight sleep” state so they cannot feel any pain during the operation. Dr. Elman begins the operation by creating three small, self-sealing incisions in the eye. He carefully removes the jelly-like vitreous, which allows him better access to the structures at the back of the eye. He removes scar tissue and vitreous tugging on the macula to repair the wrinkling and help the macula return to its proper position. During the surgery, Dr. Elman replaces the vitreous with balanced salt solution. Over time, the saline is replaced with the eye’s own fluid. After surgery, patients may experience temporarily reduced vision or the sensation that something is in the eye. Severe pain or other complications are very uncommon. With today’s advances in techniques and technology, vitrectomy normally yields very good outcomes. Eyedrops and other ocular medications cannot repair a macular pucker, but sometimes they are prescribed to help reduce associated swelling or leakage in the retina. If you have been diagnosed with a macular pucker and are looking for a qualified retinal specialist with whom to discuss treatment, Dr. Elman can help. Please schedule a consultation with Dr. Elman today to discuss your case and the available treatment solutions.